A poster designed for the 2014 “Provision” exhibition at UDC’s Gallery 42. The design of this poster was inspired by the inherent word play and typographic imagery of the phrase itself. 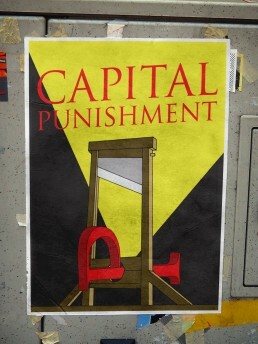 The term capital originates from the Latin capitalis, “regarding the head” and references execution by beheading.